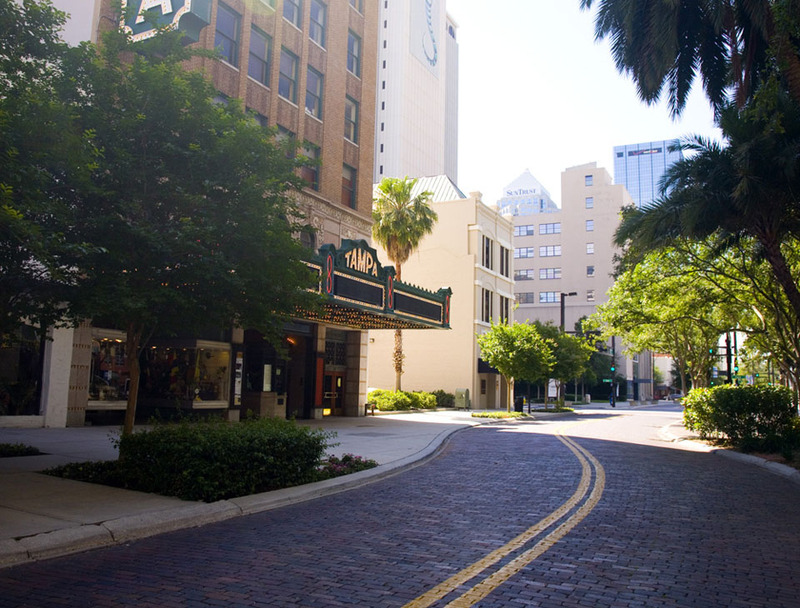 A line of old DeSoto cars with movie advertising banners lined up on Franklin Street outside the Tampa Theatre. 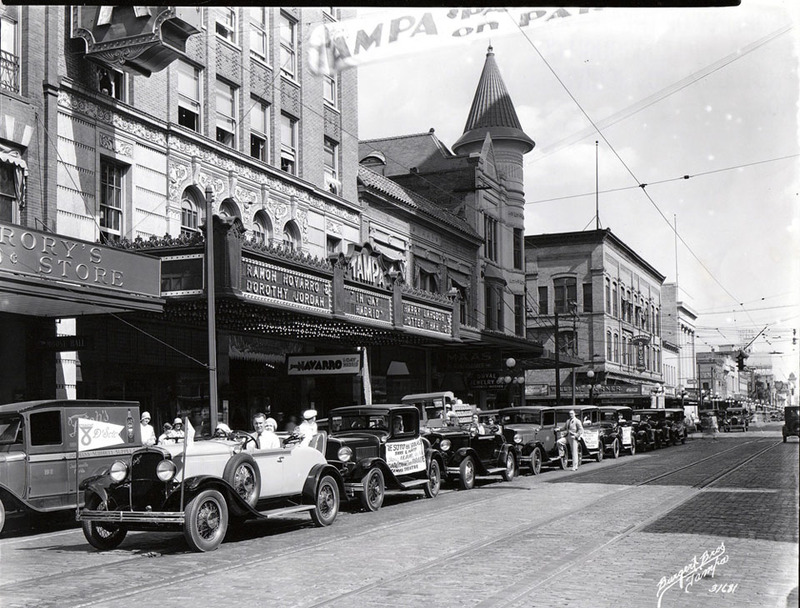 The movie playing at Tampa Theatre in this historic photograph is In Gay Madrid. old Tampa streetcar map. There were more miles of street car lines back then, than there are now. In the 1920s, Maas moved across Franklin St. just off camera to the right of this photo, into the former American National Bank Bldg.